The organic extra virgin olive oil will be most enjoyed with lettuce, on raw or on steamed vegetables. Koroneiki olives hand-picked in Greece. In the heights of Neochori-Ithomi, nestled in the mountains for more than seven generations, the Chantzios family olive groves, some over 300 years old, were planted on limestone terrain. The olives, picked and sorted by hand, are grown from a single varietal – Koroneiki – known for its ability to adapt to warmer temperatures, [and the occupant of 50 to 60% of the olive groves in its country of origin]. 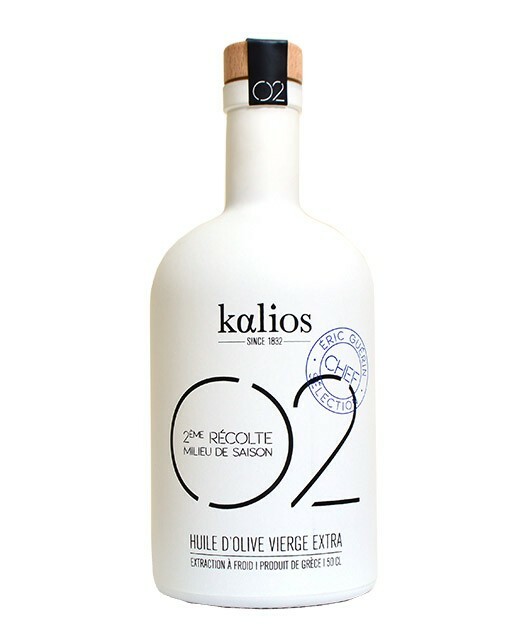 The Koroneiki is best suited for the production of olive oil, while the Kalamata varietal, is intended for the production of olives to be consumed at the table. 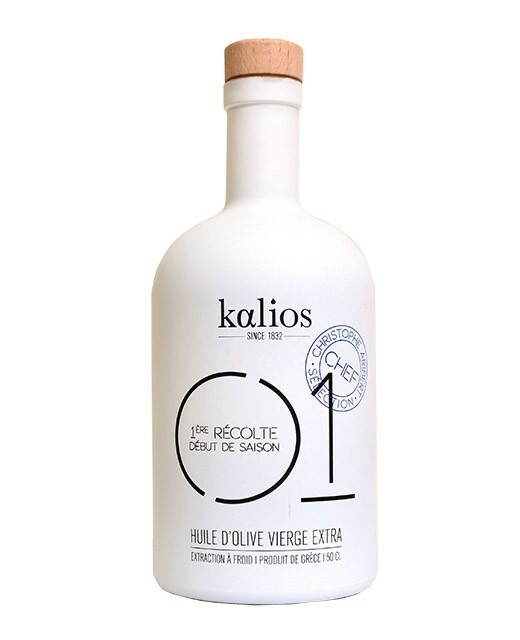 As the Chantzios family had not wished to sell their olive oil, the olive grove has never been used for mass production. The groves are not chemically treated or processed, and no fertilizer has touched its soil. The only fertilizer used is produced by goats and sheep that tend to the fields. 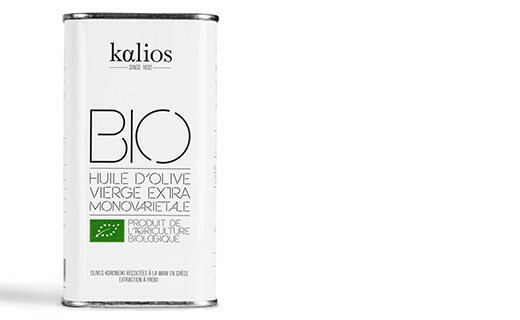 Kalios oil is thus produced through artisanal and sustainable agricultural processes, but its strength lies in its acidity: the lower the acidity, the better the quality of the oil. 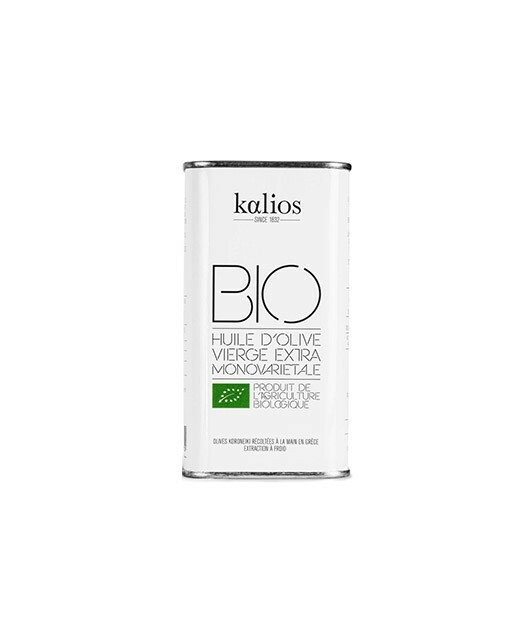 A fruity taste with hints of fresh grass, and a complete lack of bitterness, makes Kalios an exceptional product in its class. 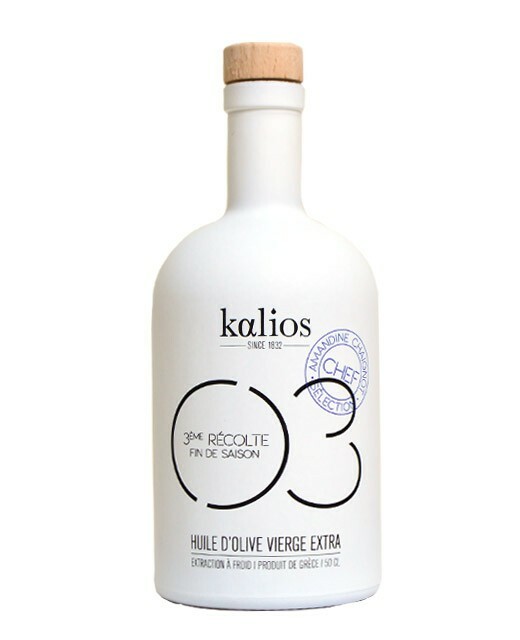 Restaurants such as Mandarin Oriental, Thoumieux, Rostang, Gagnaire, 39 V, Colliot, La Cantine du Troquet were immediately impressed by the quality of Kalios products and have adopted them.